January 24, 2019 3:30 pm. This time last year Singapore Sling (124lb) was in the front rank of his peers on the road to the BMW Hong Kong Derby and in the G3 Centenary Vase Handicap (1800m) at Sha Tin on Sunday (27 January) the bay will aim to deliver a reminder of his talent and potential. Trainer Tony Millard’s charge won the Four-Year-Old Classic Series’ second leg, the Hong Kong Classic Cup (1800m), 11 months ago and bookended the three-race challenge with runner-up finishes in the Hong Kong Classic Mile and the Derby itself. Without a win in five runs since that Classic Cup score, Singapore Sling now gets his first chance to stride out again over nine furlongs. “I think this is his distance,” Millard said, suggesting that a good run this weekend could prompt a tilt at the G1 Citi Hong Kong Gold Cup over 2000m in three weeks’ time. Singapore Sling prepped exclusively at a mile this past autumn, running a half-length second to Beauty Generation in the G2 Sha Tin Trophy Handicap (1600m), fourth in the G2 Jockey Club Mile and then ninth in the Group 1 Hong Kong Mile. Karis Teetan was in opposition on each of those occasions but the Mauritian ace is looking forward to partnering the Philanthropist gelding for the first time on Sunday. It is seven weeks since Singapore Sling’s latest race. The five-year-old has had two barrier trials since the turn of the year and the second of those saw him travel keenly under restraint, easing past the post a close third behind his upcoming rival Exultant and leading Derby candidate Dark Dream. “He trialled encouragingly and he’s going in a little bit of a fresh horse. Some of those others have had hard races,” Millard said. Three G1 winners head the Centenary Vase weights: the brothers Time Warp (133lb) and Glorious Forever (131lb) won one each of the past two editions of the Hong Kong Cup (2000m), while Exultant (132lb) took last month’s Group 1 Hong Kong Vase (2400m). The Centenary Vase Handicap is also set to feature last year’s victor Dinozzo (113lb), as well as Insayshable (113lb), Pingwu Spark (122lb), Romantic Touch (114lb) and Horse Of Fortune (113lb). 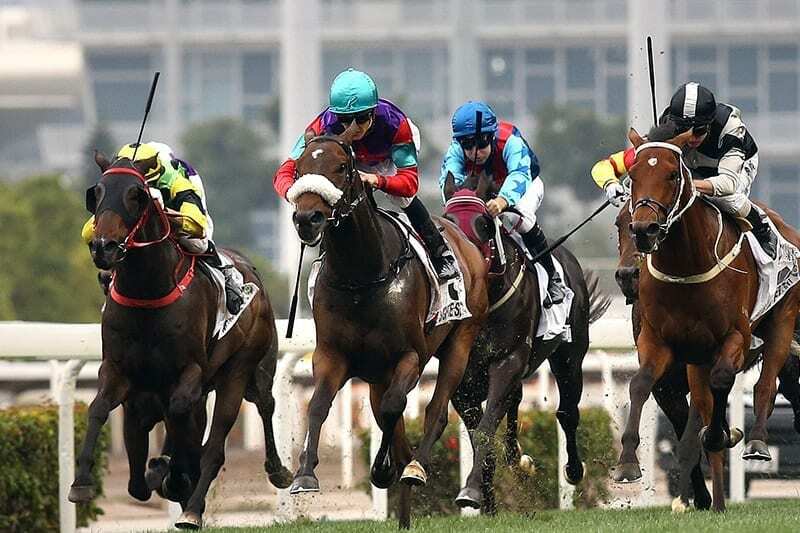 The highlight of Sunday’s 10-race card is the Hong Kong Classic Mile, the first leg of the Four-Year-Old Classic Series which also features the Hong Kong Classic Cup (1800m) and the BMW Hong Kong Derby (2000m).